Skiers know British Columbia’s Powder Highway as a place full of quirky towns, local ski resorts, and some of the best skiing a powder hound could ask for. But after decades of après options centered on nacho platters and beer, a couple of stops on the Powder Highway have been seriously improving their dining scene. 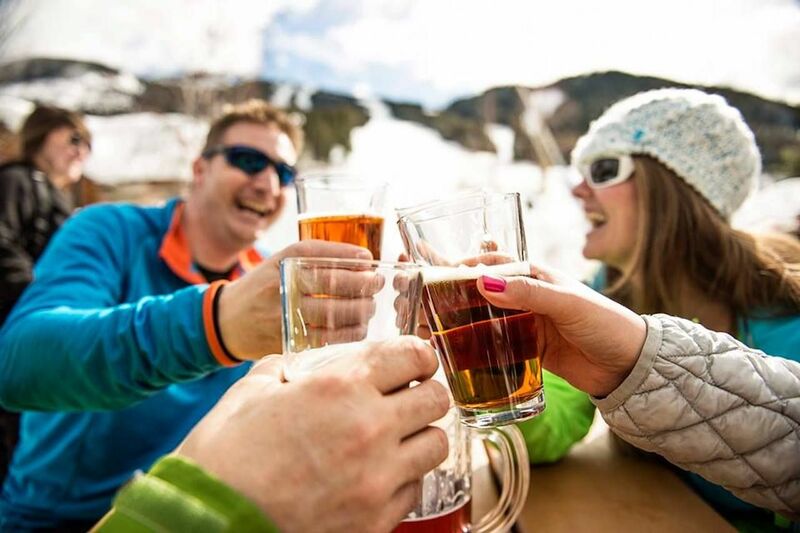 You can now sample eats from a new food truck snowcat, dine at mountain-top restaurants, or sip craft beer and cocktails — all after hitting some of the region’s best ski slopes. What is the Powder Highway? British Columbia’s Powder Highway loops eight ski resorts, one-time mining towns, current hippie outposts, and a handful of hot springs to boot — all concentrated in the Kootenay region in the province’s eastern side. It’s a year-round destination whether you’re into scenic drives, local beer, whitewater rafting and hiking, or all manner of snow sports. You can also enjoy excellent meals centered on seasonal, local ingredients at resorts like Panorama and Kicking Horse. This region of British Columbia sees far fewer visitors than Whistler to the west or Banff National Park and Lake Louise in the neighboring Alberta province. Here in the quiet Kootenays, you can ski in the morning, eat a five-course meal in the evening, and end the day with a dip in a hot pool — far from the crowds. When you ski Panorama Mountain Resort’s 3,000 acres, chances are you’ll have plenty of elbow room. Despite the great powder, the resort doesn’t see the throngs of visitors that other mountains, closer to major metro areas, do. 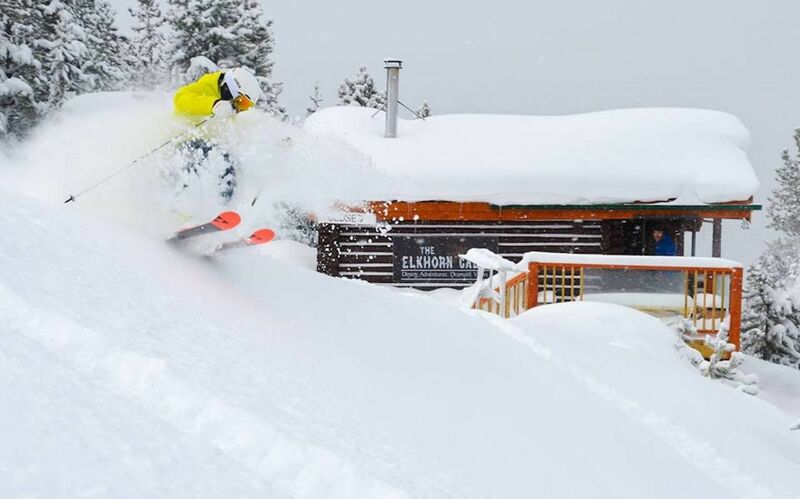 Plus, the recent addition of Taynton Bowl, a former heli-skiing area, is giving powder-seekers even more room to roam. The runs here all funnel down the mountain into a compact village, so Panorama is an especially easy place to come with friends or family members of varying abilities — you’ll all end up in the same place at the end of the day. Panorama’s après scene is strong at ElevenFifty, which skews casual with dishes like homemade pasta, braised meatballs, and gnocchi elk ragout, all complemented by an excellent British Columbia-focused wine list. Panorama puts its own twist on the food-truck trend with Snowlicious, a snowcat converted into an eatery. You’ll find it parked slopeside, serving grab-and-go food that’s easy to eat without taking off your ski gloves. Diners can eat local at Cliffhanger Restaurant, which overlooks the Purcell Mountains. The space is elegant, with high ceilings, large windows, and exposed beams. No surprise it’s popular as a wedding venue. Food here pays homage to Canadian ingredients like mussels from Prince Edward Island, fish from British Columbia, and beef from Alberta. The ski-in Elkhorn Cabin, perched midway down the slopes, hosts groups for Swiss-style raclette dinners, which involve grilling your own food — like beef, cheese, and vegetables — tableside. The restaurant also serves local BC wine and beer to go with your meal. 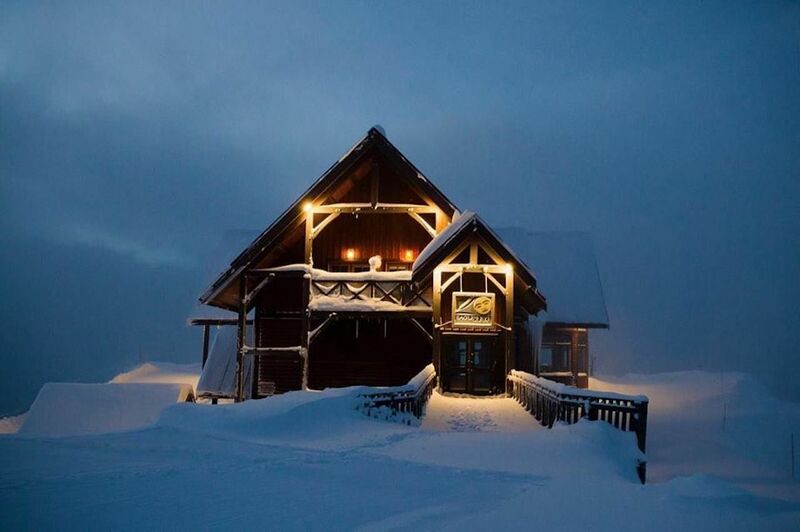 Afterwards, you have the option of a lamplight ski out or a trip down the hill in a snowcat. Either way, the alpine views are spectacular. The Cabin, a cozy bar in the village, satiates cocktail cravings with plenty of classics and originals. If you’re still hungry, the bar smokes the meats and produce that make up the bulk of its menu. Need help digesting and soothing those tired muscles? Take a dip in Canada’s largest slopeside hot pools in the heart of the resort. Follow it up with a sauna visit before you call it a night. 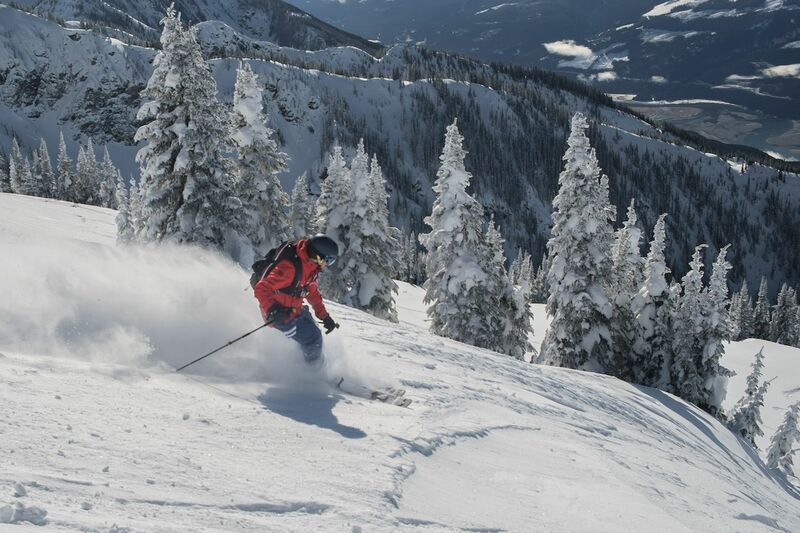 At Kicking Horse, the skiing is all about steep and deep. The runs here aren’t just mowed-over hillsides; you’re skiing pristine high-alpine bowls and glades. Even better: These choice runs aren’t limited only to the most experienced skiers as there are options for beginners, too. The resort restaurant scene’s crown jewel is Eagles Eye, perched at the top of Kicking Horse Mountain. Accessible by gondola, skiers and non-skiers alike convene here for lunch and dinner. Special events like multi-course winemaker dinners are even more dramatic with views extending out among the nearby peaks. Start your day on the slopes with breakfast and espresso at Double Black Café, which sits at the foot of the gondola. Fuel up on baked goods and breakfast staples like tricked-out avocado toast, chilaquiles, or breakfast parfait. Just down the mountain from Kicking Horse sits the town of Golden, with its compact downtown along the Kicking Horse River. 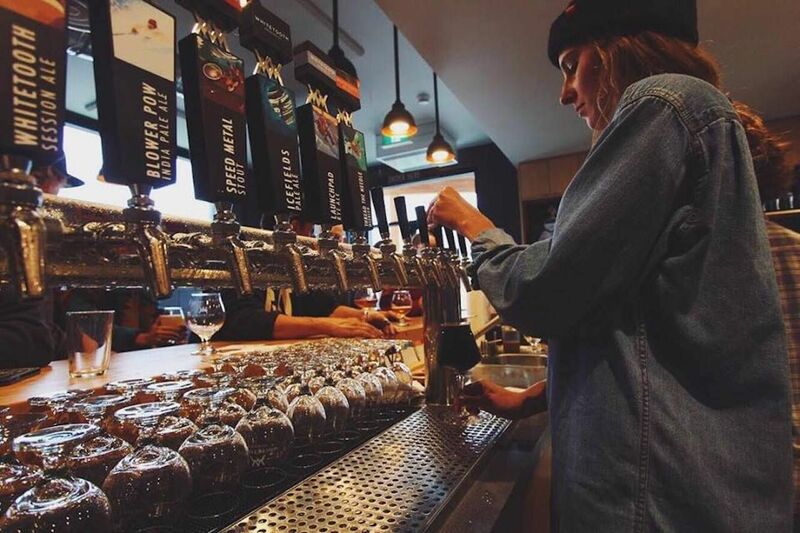 Locals pack into Whitetooth Brewing Company for well-made brews complemented by the occasional food truck. A tasting flight here is the perfect primer before an elegant dinner at Whitetooth Bistro, a short walk away. The plates here balance hearty food and perfect presentation — washed down with the bar’s impressive original cocktails or a glass of British Columbia wine. While Panorama and Kicking Horse get top marks for dining on the Powder Highway, other resorts hold their own. Local beer washes down legendary prime rib burgers at Fernie Alpine Resort’s Griz Bar while you can get a great brie burger in Fernie at The Brickhouse. Visit the town of Kimberly, below Kimberly Alpine Resort, for refined eats and BC wine at Pedal & Tap. 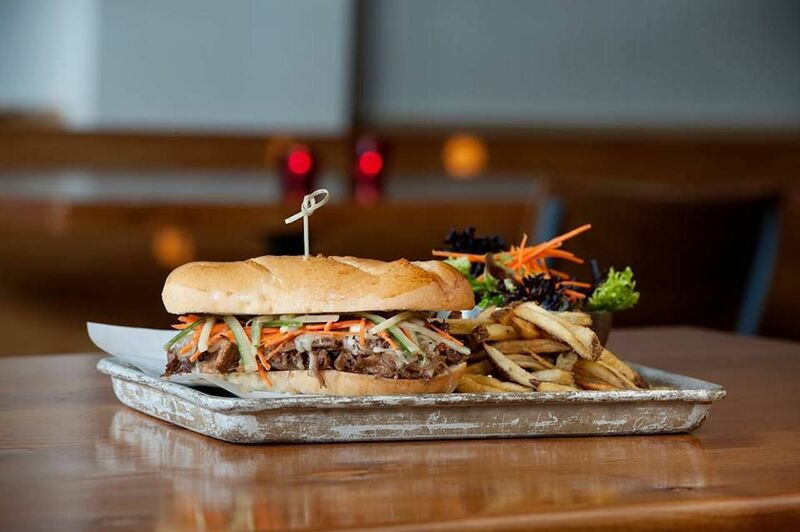 Big portions at Revelstoke Mountain Resort’s Rockford Grill will help you fuel up for the next day’s adventures.